What is a master Recycler? If you collect “extra plastics” to bring to recycling depots, you likely know by now that something is amiss. In the last few weeks, depots in the Portland area suspended their acceptance of most plastics. Commonly collected non-curbside plastics include plastic bags, take-out containers and bulky rigid plastics that don’t belong in your regular work or home curbside mixed recycling roll cart. This has happened before. Markets fluctuate widely for these materials. Sometimes manufacturers stop buying certain items and our local depots must stop accepting them until they find another buyer. But this time is different. The same market shifts that caused this recent disruption in extra plastics recycling is also affecting the mixed paper and plastics that we place in our curbside program. We have not had this kind of challenge to Oregon’s recycling since the launch of our curbside collection system. In fact, these changes are affecting recycling across the country. The Material Recovery Facilities (MRF’s) that sort mixed curbside recycling are having trouble finding buyers for the mix of materials that they usually sell to manufacturers. The MRF’s initially attempted to solve problems by slowing the sorting process and picking out more obviously wanted materials. In the past, this strategy served them well, even during the economic crisis of 2008. But this time, many materials that are accepted in the curbside program do not seem to have a buyer. Meanwhile the materials are piling up. Oregon laws require that the correct materials that people put in their carts are reused or recycled. These requirements ensure that materials get recycled and instill public trust that it is worth the time to separate materials for recycling. However, considering the extraordinary circumstances of current shifts, MRF’s may not find markets for some of the mixed paper or plastics. In such circumstances, DEQ may approve formal requests for disposal of some selected materials. This will be the first time in Oregon’s decades of strong recycling programs where this may occur on a large scale. Much is unknown about the near future. To prepare for different possibilities and to develop strategies to maintain recycling collection and processing where possible, the Oregon Department of Environmental Quality is leading conversations with recycling processors, collectors, exporters, end users, market experts and local government recycling specialists to seek the best resolution possible. Maintaining and protecting the environment are part of Oregon’s identity, and all players are committed to protecting the integrity of Oregon’s reuse and recycling systems. It is important that as consumers, we continue to recycle, recycle right (only the accepted materials) and that we listen carefully for potential changes. How did we get here? And how can we work it out? The environmental, economic and social impacts of extracting, manufacturing and using materials far outweigh the impacts of managing products after we are done with them. But the costs of managing discards is not insignificant. The volume of material is staggering. Oregon’s facilities alone managed 5.1 million tons of waste in 2015. While half of that material was recovered, it all had to be managed. Facilities in the United States (U.S.) managed 254 million tons in 2013. Whether it is recovered or landfilled, we are simply creating too much waste and it is overwhelming our ability to manage it in a sustainable way. Most paper and plastic is no longer recycled in the U.S. There are many reasons that China became the predominate player in recycling for the U.S.. The core reason is that recycling is all about manufacturing new goods from old goods. China is the largest manufacturing economy in the world, as well as the largest exporter of manufactured goods. 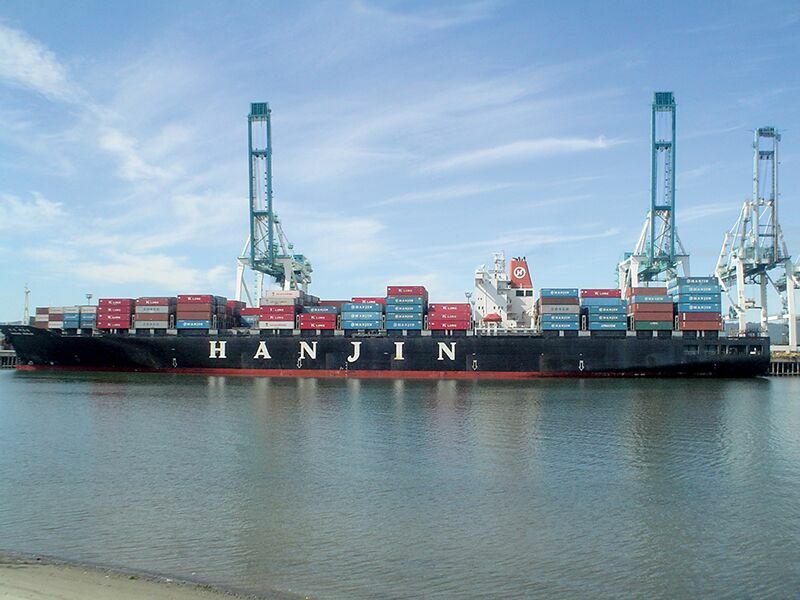 Meanwhile, a massive number of container ships laden with consumer goods sail each year from China to American ports. We don’t manufacture much here. So, shipping companies offer major discounts on return runs to China. These discounts make it more expensive to ship scrap materials to domestic recyclers. China has also been willing to accept a level of contamination that no one else would take. Inexpensive labor and state-of-the-art sorting machines made it worth it to China to take mixed materials from these discounted shiploads and sort through it. China has not been terribly communicative about what materials are valuable to them and what materials are going to be landfilled. But China’s willingness to take garbage has changed, and quickly. 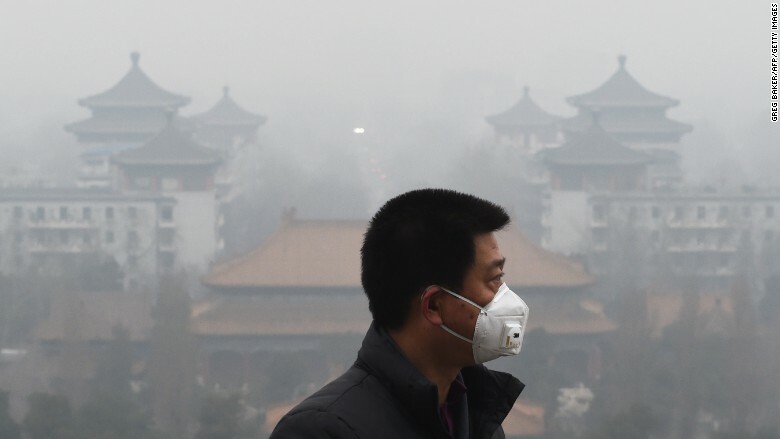 The Chinese government is feeling enormous pressure to address pollution. Meanwhile, the low price of natural gas and oil has also made virgin plastic more appealing than sorting mixed waste from the US. The growing middle class in China is beginning to consume more and therefore generate their own discards. This means that China can recycle local scrap, replacing the need to use imported mixed materials. For these reasons, in July 2017, China announced, as part of their Green Sword policy, there would be a ban on certain paper and plastic materials that will go into effect by the end of 2017. They began phasing in some of that ban in September. With such a long-term dependence on Chinese recycling markets, local facilities are ill-equipped to sort materials and ship them to alternative markets. This is a global interruption that is affecting the U.S. and Europe. In some ways, Oregon is in better shape than other places. Oregon is more conservative about accepting marginally marketable materials (like coffee cups, plastic bags and freezer boxes) and glass is separated from mixed recycling here. Communities who do accept these materials all mixed together will find it more challenging to meet China’s new standards or find local markets. Oregon is also in good shape to address our local issues because of the cooperative nature of the recycling community here. The DEQ and Association of Oregon Recyclers have played long-standing roles in bringing all players together to collectively solve problems. However, we also have our own problems that will need to be addressed. The sorting systems in Oregon are antiquated. They were developed during a time when most people were recycling newspaper and office paper. The steady increase of plastic and paper containers has presented problems that local facilities have not invested in solving. 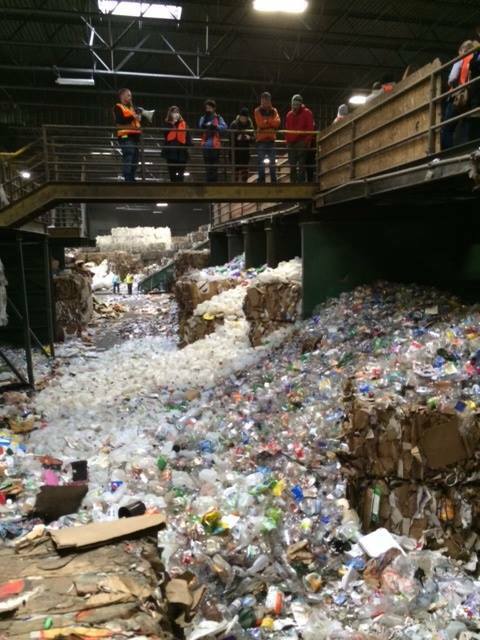 New optical and mechanical sorting equipment is used in many places across the country has allowed other cities to increase recyclable materials, provide a cleaner stream of materials for market and safer conditions for workers. This equipment is expensive and processors and local governments need to form official relationships to invest in such infrastructure. Everyone can help by reusing, sharing, fixing, borrowing and swapping to meet our needs. Read more about how to Purge the Plastics Pileup. We can also help protect our recycling system by recycling right. Oregonians are already quite good at this. In the Metro region, our contamination rate is only about 9 percent. Rather than egregious tossing of diapers and garden hoses into the recycling, most contamination here is well-meaning mistakes or wishful recycling. Now is an important time to be vigilant about putting only what is on the list in recycling containers. It is also a time to pay close attention to announcements from cities, counties, DEQ and Metro. The curbside list is likely to change for the first time since 2008. When this happens, Master Recyclers will be important messengers to explain the reasons for these changes and ensure that people participate. During this uncertainty, the state will experience short-term challenges. These challenges also present an opportunity to reemphasize the importance of reduce and reuse. It will also challenge us to develop long-term plans to strengthen local processing capacity, identify and grow new markets, reduce contamination and deepen partnerships. Check Out the New Things in Clackamas Libraries! Serving the Portland metro region in Clackamas, Multnomah and Washington counties. This program is brought to you by Metro, the City of Portland, Clackamas County, Washington County, the Oregon Department of Environmental Quality and Recycling Advocates.